In marketing, there is no such thing as instant gratification. But there are few things sweeter than reaping the benefits of a long-term project that has come to fruition. Seven years seems like a long time to toil to reach a goal, but if you understand that the process is what leads to the results, the finish line is always in sight. Speaking of insights, I would like to share a thought that struck me during my travels for the recent multi-country, Dirshu World Siyum, celebrating the completion of the first cycle of Dirshu’s pioneering Daf HaYomi B’Halacha program. 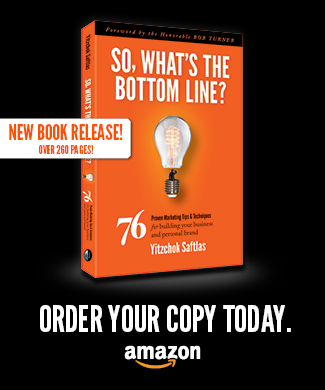 Some 23 years have passed since I founded Bottom Line Marketing Group, and I am very proud of the many milestone projects and campaigns we have devised for our clients in the Torah world. Each and every one of them represents another jewel in the crown of Torah, and l’havdil, another feather in our professional caps. But the Dirshu World Siyum represents a new peak for me. 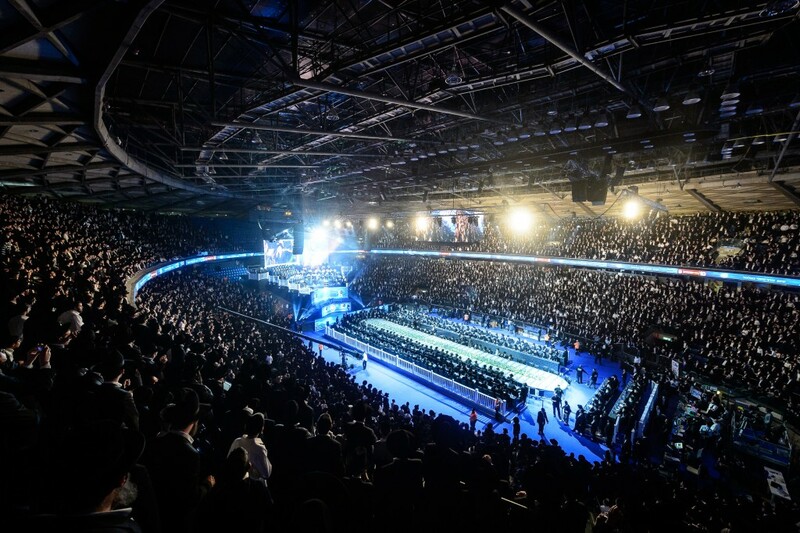 I didn’t make it to all 7 locations, but I did get to Yad Eliyahu in Tel Aviv, the Shabbos Conventions in Stamford Connecticut, and Buckinghamshire England, and a very special Siyum in France – all within 10 days. Exhausting as all the travel and logistics were, I felt totally invigorated under the same roof, or open skies, as the tens of thousands of men that Dirshu’s daily Mishnah Berurah learning program has touched. The combined simchas hachayim and the simchas haTorah of so many Torah scholars of all stripes was both palpable and unforgettable. I count my blessings each day that Dirshu’s Nasi, Harav Dovid Hofstedter, selected Bottom Line to play a role in the “pirsum” of this global celebration, as well as for all of the years that I’ve been zocheh to represent his many Torah initiates worldwide. 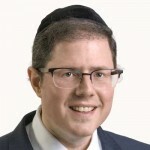 The entire experience provided me with my most intense moments of both professional and personal gratification knowing that I too shared in the merit of supporting the goals of HaKadosh Baruch Hu to spread Torah worldwide. In glancing around at the mesaymim, I pondered the seven years of daily work that they invested to reach their destination. All of these men knew the commitment they were enlisting in when embarking on this program. They deserve our admiration for setting a goal and then taking steps every day to reach it. 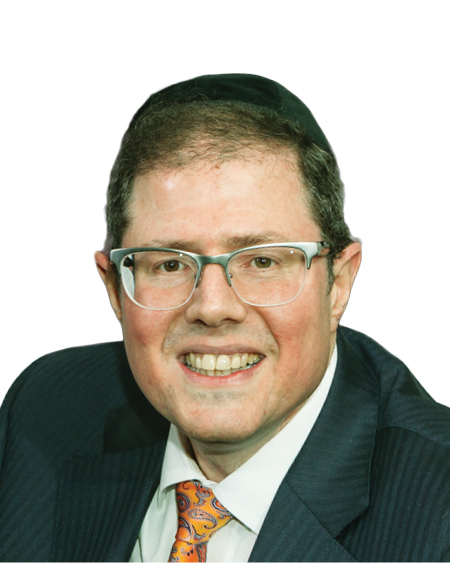 While the siyum is the epic moment of gratification, ask each and every one of the participants and I am sure they will you how that the process was as gratifying as its culmination. L’havdil, marketing can work the same way if we adopt the same approach. You embark on a program, you implement it every day and take stock of both your progress along the way and the benefits that accrue. While providing the professional marketing backing for Torah dissemination is my pride and joy, on the same day that Dirshu held its siyum in Yad Eliyahu Stadium in Tel Aviv, I received the“besurah tovah” that halfway around the world (in Las Vegas) a tradeshow booth we designed for one of our corporate clients won the highest prestigious award at GlobalShop 2015. Edison Litho, a printer that services the retail industry, won the award for the “Best in Show” booth at GlobalShop 2015, the must-attend annual trade show that features 700 big-name exhibitors from North America. Our creative team designed and oversaw the development of an eye-catching booth, with a retro, drive-in theme representative of the company’s launch in 1958. It takes a great deal of insight and creativity to design a booth that will attract foot traffic at a bustling venue. Every one of GlobalShop’s 700 exhibitors worked hard at it. Edison Litho’s award is a tribute to our talented, dedicated team, as well as to Edison’s commitment to excellence and the trust and confidence they have placed in us. It’s time to take a deep breath. Pesach is right around the corner – maybe it’s already here by the time you’re reading this. It’s a great opportunity to recharge our spiritual and physical batteries and get ready for the next set of challenges just ahead. May all of Yated’s readers be zocheh to a chag kasher v’sameach and to get gratification from all of your ventures. This Week’s Bottom Line Action Step: Set a goal and take a step every day to reach it.